Here is a roundup of articles we’ve shared recently. Deloitte has great marketing and management systems in place to help its employees and customers be successful, including 10 Questions You Should Be Asking to embrace risk and lead confidently in a volatile world. Social media is not all about the numbers of likes or followers. Once a social media influencer reaches a critical mass of followers, audience engagement actually begins to decrease. The rise of micro-influencers on Instagram. Do you write comments on blogs and news websites? Do you read the comments? Some observers now believe that comments have failed on news media websites. One analysis concluded that proper link placement in a tweet is about 15 to 25 percent of the way through the post. That way, it will generate more readership and engagement. If you are aware that someone is driving, texting a distracted driver could now bring liability. Think before you text. The marketing platform Hubspot recently was criticized by a former employee in a tell-all book, but the potential public relations nightmare may have been lessened by many of the company’s customers who spoke out on its behalf. 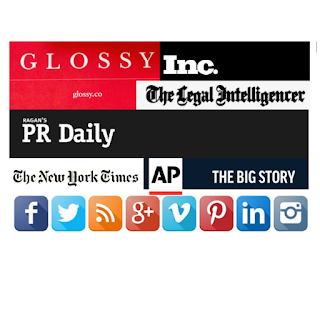 Social media sharing has changed the face of PR, especially the rise in visual communications. Clare Lane tells Ragan’s PR Daily why a picture is really worth a thousand words. And an AP poll reinforces how important it is for the media to get the facts right in America. In fact, it is the key to gaining trust.